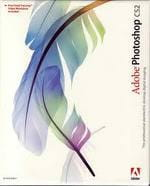 Adobe Photoshop is the pioneering software in the arena of photography that allows users to enhance the quality and appeal of their pictures by editing them. Using Photoshop, one can add custom effects such as Dragan Effect to increase contrast and adding cold colors to their pictures. To apply Dragan effect to the pictures the user must choose the 'Lab Mode' and then apply curve from Image Settings to enhance the contrast. After that, one needs to choose 'RGB mode' to apply the High Pass filter. One can saturate the image in red by manipulating the hue and saturation. The user can further choose to adjust the layer by selecting the relevant parameters from the drop down menu. Dragan Effect is named after a young Polish prodigy in photography who became famous for the dramatic intensity of his photos. Strong contrasts, cold colors and characters carved faces have made a reference to his style which has many followers today. Step 1: Start by converting the image into Lab mode (Image - Mode - Lab Color). Then go to the layer of light (L) to apply a set of curves strongly enhancing the contrast (Images - Settings - Curves). Then apply a copy to your filter High Pass. Go to Filter - Miscellaneous - High Pass, turn 3 pixels in our example. Step 3: take the layer that has undergone the high-pass filter mode Overlay: this has the effect of reinforcing the edges. Step 4: the colors can be saturated in red. So open a dynamic setting in Image - Hue / Saturation, and adjust slightly the hue and saturation. Step 5: then apply an adjustment layer Selective Color (Slap - New Adjustment Layer - Selective Correction) by selecting the dropdown menu and correct the first red. Step 6: then, still with the same tool set, correct the yellows, according to your picture. Published by aakai1056. Latest update on March 21, 2012 at 06:46 PM by Virginia Parsons. This document, titled "Apply Dragan effect with Photoshop," is available under the Creative Commons license. Any copy, reuse, or modification of the content should be sufficiently credited to CCM (https://ccm.net/). Apply Barcode effect with Photoshop. Apply a watercolor effect in Photoshop.